In this talk Ted Underwood will use science fiction, fantasy, mystery, and the Gothic to explore the advantages of an approach that asks data science to contribute to the humanities by adding perspectival flexibility, rather than sheer scale. Underwood trained predictive models of these genres using ground truth drawn from various sources and periods (19c reviewers, early 20c bibliographies, contemporary librarians), in order to explore how implicit assumptions about genre consolidate or change across time. Ted Underwood teaches in the School of Information Sciences and the English Department at the University of Illinois, Urbana-Champaign. He was trained as a Romanticist and now applies machine learning to large digital collections. His most recent book, Distant Horizons: Digital Evidence and Literary Change (University of Chicago, Spring 2019) addresses new perspectives opened up by large digital libraries. Underwood’s contributions to Representations include Theorizing Research Practices We Forgot to Theorize Twenty Years Ago and Stories of Parallel Lives and the Status Anxieties of Contemporary Historicism. the makers of the new movie Selma apparently just couldn’t resist taking dramatic, trumped-up license with a true story that didn’t need any embellishment to work as a big-screen historical drama. As a result, the film falsely portrays President Lyndon B. Johnson as being at odds with Martin Luther King Jr. and even using the FBI to discredit him, as only reluctantly behind the Voting Rights Act of 1965 and as opposed to the Selma march itself. “Every year,” the film scholar Jeanine Basinger wearily complained when asked to comment on Selma, “I know someone is going to call me about distortion of history when we hit the Oscars.” But there’s a reason that the objection keeps recurring. If it’s a mistake to look for accuracy in historical films, then why do historical films bother with accuracy at all? Although DuVernay rejected the label of documentarian in her interview with Ifill, that is exactly how she began her directorial career, with the hip-hop documentary This Is the Life (2008)—and her next project after Selma was a documentary on the US criminal justice system, 13th. What’s more, historical verisimilitude mattered enough to DuVernay in making Selma that she meticulously reproduced the look and feel of the sixties in her film, chose actors who bore an uncanny physical resemblance to the figures they played, and even spliced actual documentary footage of the final march to Montgomery into Selma’s recreation of it. In the same interview where she claimed that she was no more of a historian than a documentarian, DuVernay expressed her dismay at the “jaw-dropping” ignorance of moviegoers regarding the events her film “chronicled,” and she hoped that her movie would help Selma “resonate with people in the way that it should as being just such a cornerstone of democracy.” Prominent participants in the march have indeed championed the film as historiography. “Everything” except the film’s “depiction of the interaction between King and Johnson,” Andrew Young has said, “they got 100 percent right.” But then how could historical accuracy not be an issue for a film that ends with King’s proclaiming, “His truth is marching on”? The tensions between fact and fiction in Selma are anything but incidental to the movie: they instead reflect the irreducibly hybrid nature of the historical film. 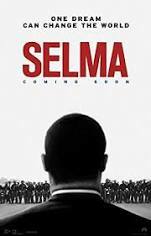 Every historical film must contend with the possibility that its viewers will be scandalized by its mixture of fact and fiction, but no recent historical film has faced such pressure to justify its hybrid nature as Selma has, in large part because no recent film has taken on so momentous and controversial a historical subject: the civil rights marches from Selma to Montgomery that led to the passage of the Voting Rights Act in 1965. The renewed urgency of the issues Selma dramatizes, along with the film’s own commitment to the “moral certainty” of the civil rights movement, helps explain why Selma wavers in a self-defense that links the fictionality of its historical reenactments to the purposely theatrical element of the marches themselves. But politics are not the only problem for fiction in Selma, and to show why, this essay compares Selma to an earlier historical film, The Westerner (1940), that openly flaunts the commercial nature of its fictionality. JEFFREY KNAPP is the Eggers Professor of English at the University of California, Berkeley, and a Faculty Affiliate of Berkeley’s Film and Media Department. He is most recently the author of Pleasing Everyone: Mass Entertainment in Renaissance London and Golden-Age Hollywood, published in 2017 by Oxford University Press. It is, in one way at least, a good time to be contemporary. In the past ten or so years, the study of contemporary literature and culture has amassed an impressive sum of institutional currency, paid in the usual forms of new professional organizations, journals, conferences, book series, and—such as they are—job searches. So too has the philosophical idea of the contemporary only recently “begun to emerge into the critical daylight,” as the philosopher Peter Osborne points out, bringing with it a “recent rush of writing trying to make some minimal theoretical sense of the concept.” Yet perhaps the most unmistakable sign of the contemporary’s ascendance as a scholarly category is that it has now become a subject for the contemporary novel. even worse. It was, of course, a topic to which I’d been giving much thought: radiant now-ness, Present-Tense AnthropologyTM and so forth. But I wasn’t ready to give all that stuff, all those half-formed notions, an outing. Besides which, I’d started to harbour doubts about their viability. These doubts themselves, I told myself in the days before the conference, were what I’d air. To air the doubt about a concept before airing the concept itself was, I thought, quite intellectually adventurous; it might go down well. To think about the contemporary, McCarthy suggests, is to think mainly in “half-formed notions.” That is because, as U. realizes, the contemporary is an essentially empty category: its uncertainty precedes its content. Imprecise and unformed, the contemporary brooks no positive definition; it can be expressed only in terms of one’s “doubts” about its “viability” or existence. U.’s conference presentation is, to that end, all doubt and little notion. 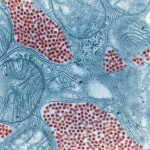 “The Contemporary,” U. tells his audience, is “a suspect term.” It is not a stable historical period so much as “a constantly mutating space,” less a fixed moment than “a moving ratio of modernity.” The constant movement and mutation of the contemporary means that it is “misguided” to make “periodic claims” about it, since such periodizing claims “can’t be empirically justified” (100). The absence of any empirical or historical grounds for talking about the contemporary means that the term is, at best, only a placeholder for future inquiry. As U. puts it in the last lines of his talk, “What we require is not contemporary anthropology but an anthropology of The Contemporary.” If U. is not entirely sure what he means by this (“Ba-boom: that was my ‘out,’” he admits cynically), neither is his audience; his talk is, we are told, “met with silence” (101). Yet that silence may have a familiar ring to it. 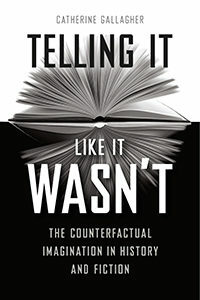 While U.’s lecture may fail to engage its intended fictional audience, it should still capture the attention of many members of its nonfictional audience, for whom it will evoke, with impressive precision, the recognizable language and familiarly awkward experience of the academic conference. 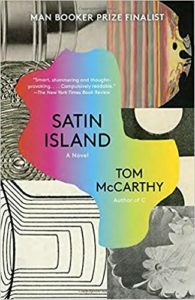 In short, these pages of Satin Island are as much a staging of literary criticism as they are literature. As such, they are our first hint of a novel—and, as I’ll argue over the course of this essay, of a moment in the history of the novel—that strives to be not only a novel but also a commentary on the disciplinary frameworks that, in the Anglo-American academy, determine how something becomes a “contemporary” novel in the first place. In this essay Martin traces the century-long history of contemporary literature as a field of study in English departments. Showing how prior debates about the scholarly status of contemporary literature coincided with both changing disciplinary methodologies and the changing political landscape of the university, he argues that prevailing anxieties about the study of the contemporary today are central to explaining the emergence of a new kind of contemporary novel. 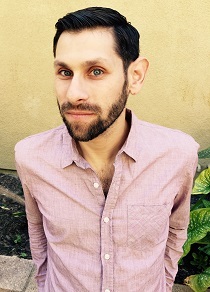 THEODORE MARTIN is Assistant Professor of English at the University of California, Irvine. He is the author of Contemporary Drift: Genre, Historicism, and the Problem of the Present (Columbia UP, 2017). 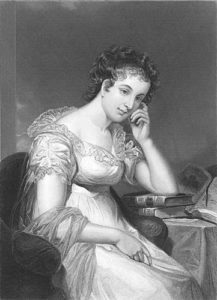 Maria Edgeworth (1767–1849) is famous for her bad plots. 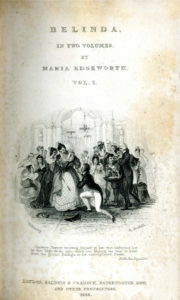 A contemporary reviewer of her 1814 novel Patronage complains that “the story is always the worst part of Miss Edgeworth’s novel.” There she consistently proves “inferior . . . to many of those that are vastly below her in everything else.” This backhanded compliment to a novelist publicly admired by Jane Austen and Sir Walter Scott may suggest some of the reasons that Edgeworth has fallen into neglect. Despite her popularity and widespread readership in her lifetime, particularly in nineteenth-century America, this Anglo-Irish writer of national tales and novels never fully entered the literary canon. If read at all, Edgeworth’s novels are studied in relation to questions of Irish identity and history, rather than as examples of the genre’s possibilities. This may indeed be attributable to a certain quality that many of her plots possess. In their broad outlines, they are unobjectionable, if not exciting. Their protagonists, whether old or young, male or female, aristocratic or working class, must learn to choose for themselves the way of life most productive of happiness. They need to overcome prejudice, indolence, misdirected sympathies, and unhealthy influences. The alleged badness of her plots, then, does not concern any unfamiliarity of outline. Nor does it derive from over-reliance on arbitrary events, chance encounters, or coincidences. 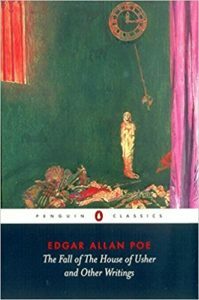 Though these can certainly be found in Edgeworth’s plots, sometimes concentrated toward the end, they are arguably standard features of narrative and certainly of the novel by 1800. Rather, it seems that Edgeworth’s “carelessness” has to do with not sufficiently disguising the epistemological responsibilities placed on fictional plot by the development of experimental science. 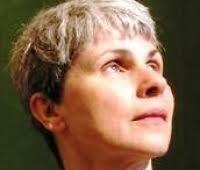 Her plots usually tell the story of how characters learn to think rationally. But this requires more than learning to distinguish between truth and lies, genuine and false stories or feelings. As one character in her novel Belinda (1801) puts it, “Our reasonings as to the conduct of life . . . must depend ultimately on facts.” For Edgeworth, then, plot becomes the means of producing legitimately objective facts within a fictive universe. In a twist in the dialectic of fictionality, plot has to produce a hierarchy of epistemological certainty within its own orderings. 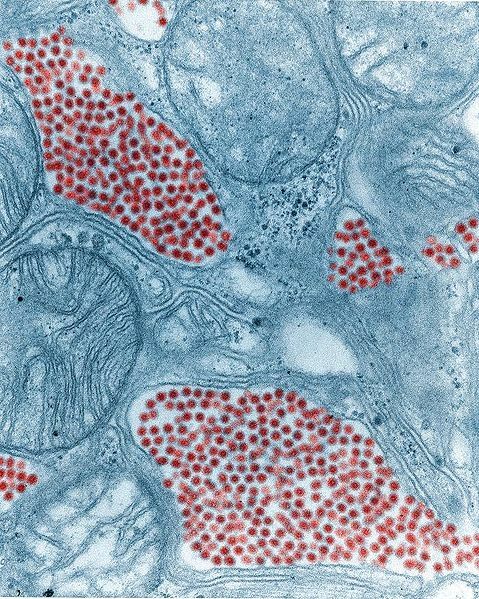 In this essay, Yoon Sun Lee shows how the early nineteenth-century novelist Maria Edgeworth develops objectivity as a dimension of plot rather than of narrative viewpoint, drawing on the protocols and structures of experimental science. In Edgeworth’s novels, plot becomes a means of producing legitimately objective facts within a fictive universe. YOON SUN LEE is the author of Nationalism and Irony: Burke, Scott, Carlyle and Modern Minority: Asian American Literature and Everyday Life (both Oxford University Press); her articles can be found in MLQ, Studies in Romanticism, and The Cambridge Companion to the Postcolonial Novel, as well as other journals and collections. 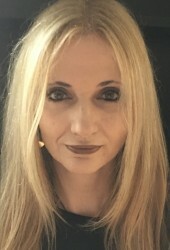 Her current book project focuses on the question of how to theorize plot in the novel. 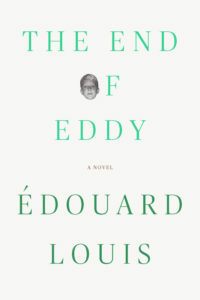 Michael Lucey’s translation of The End of Eddy by Édouard Louis, published earlier this month, has just been reviewed in both the New Yorker and the New York Times. An autobiographical novel about growing up gay in a working-class town in Picardy, The End of Eddy at once captures the violence and desperation of life in a French factory town and provides a sensitive portrait of boyhood and sexual awakening. The author, Édouard Louis, is a novelist and the editor of a scholarly work on Pierre Bourdieu. He is the coauthor, with the philosopher Geoffroy de Lagasnerie, of “Manifesto for an Intellectual and Political Counteroffensive,” published in English by the Los Angeles Review of Books. Michael Lucey, a member of the Representations editorial board, is a professor of French literature at the University of California, Berkeley. He is the author of Never Say I: Sexuality and the First Person in Colette, Gide, and Proust and The Misfit of the Family: Balzac and the Social Forms of Sexuality and translator of Returning to Reims by Didier Eribon.